This is a super-quick post for those who requested to see swatches of the 2 new Diorblush Vibrant Powder Blushes (SGD$70) which have been released for a limited time at the ION Dior Backstage beauty boutique as well as a few other counters like Robinsons Raffles City. 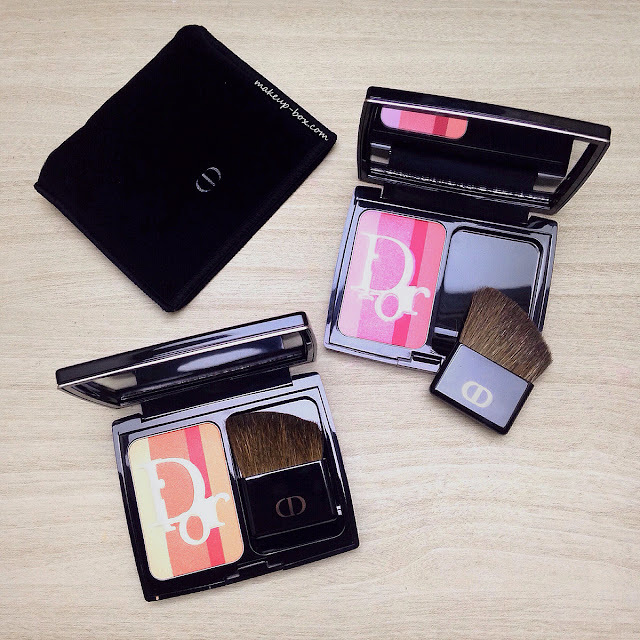 Like most of the Diorblushes, these 2 are very finely-milled and smooth. They aren't chalky and go on subtle at first so you can wear them sheer or build up to moderate intensity. The 2 new striped Diorblushes come in 2 opposing tones. 001 Coral Shimmer - soft warm coral; it looks very orange/yellow in the pan but the red strip actually adds a beautiful soft salmon tone when all the colors are swirled together. 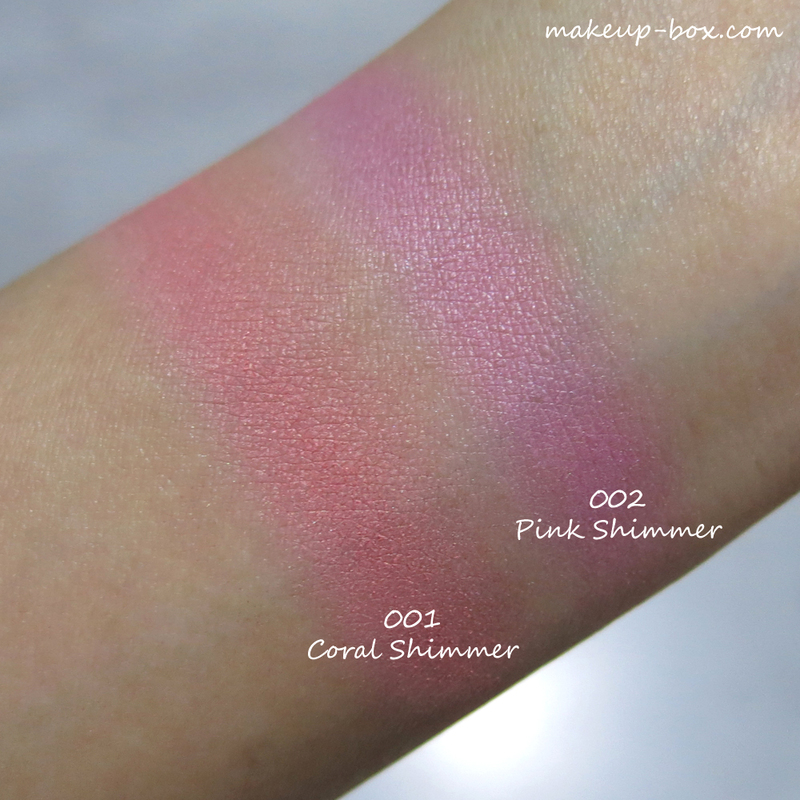 002 Pink Shimmer - cool-toned fuchsia pink. Both shades go on quite soft at first but quickly build up to a more vibrant tone. They would work well on both pale to medium skins, but I think if you have a tan complexion, these would be very soft glow against the skin. If you have dark skin however, these might only work as highlighters. They don't really look as chalky as some, but there isn't enough of a sheen to make a very noticeable highlight either, so I won't actually recommend these if you have a deep skin tone. good particularly with home diversion in mind and also Kodi on Chromecast as XBMC it's advanced offering up the equipment nice.